An important civic building at the time of its construction, the Mayoralty House has been in use as a commercial premises for decades. 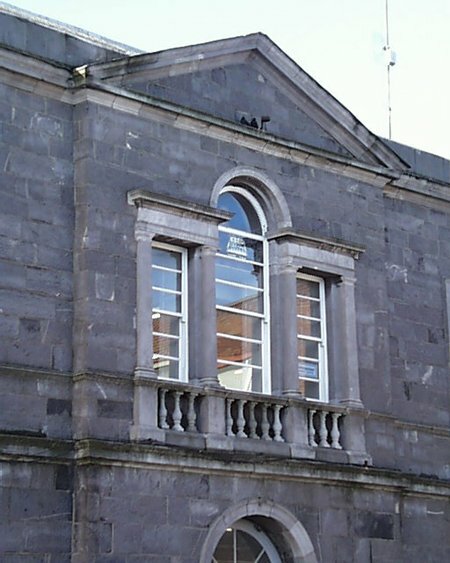 Built of limestone ashlar with trimmings of a lighter coloured limestone, the main façade is three bays wide with the central bay broken forward and containing a Doric columned venetian window. The ground floor windows are all round-headed with a linking string course.